There is nothing like the taste and smell of fresh herbs from the garden, especially in the summer time. Every summer, I plant fresh herbs. 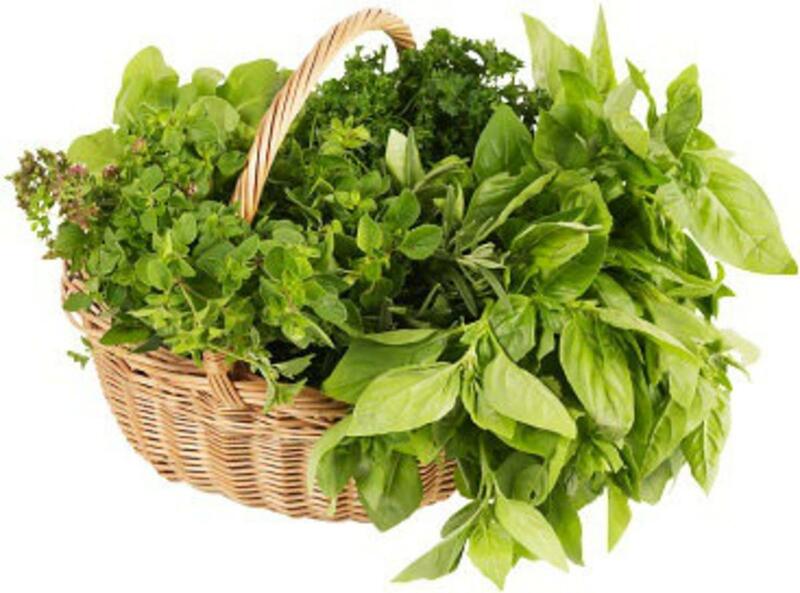 It is a divine treat to go into my yard and pull fresh parsley or basil or thyme and use them in my summer salads and cooking. This summer, I planted the herbs in large pots and use them as décor for my deck. The deck is right off the dining room and the pots are easy for me to get to when cooking. Oregano grows as a spiller off the side of the pot and it has a fuzzy leaf. It prefers well drained soil, so I put rocks in the pot for drainage. I like to have dill because it is great in soups and on fish. It is fern-like and loves the sun, so it needs frequent watering. I don’t use chives much in winter but I grow them in the summer for use in potato salads and in soups. The blooms are edible. Thyme is so easy to grow and I love it on chicken and as a flavor in salads. I cut a few sprigs of thyme and rub my fingers along the sprig to get the tiny leaves off. Rosemary is very hardy and a lovely year round plant. It has a strong flavor that I love on chicken dishes. I grow lots of parsley and basil as these are two herbs I use constantly. The basil thrives in full sun and plenty of moisture. It makes a great pesto. I use parsley in practically everything. Sometimes I combine many different herbs to make an herb pesto (basil, parsley, thyme, oregano), which works nicely when mixed into pasta or potato dishes. Simply put them iin a food processor with garlic cloves and chop until fine. then slowly drizzle in olive oil to desired consistency. If using pesto on pasta, mix in some of the pasta water to thin it. There really is no excuse not to have an herb garden. If you don’t have land to grow herbs, use pots. This is something many apartment dwellers do. 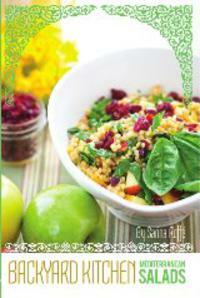 My spiral-bound cookbook Backyard Kitchen: Mediterranean Salads uses fresh herbs in every recipe that liven every summer salad. Check it out on Amazon.com.